Jason Koury obtained his doctor of pharmacy degree in 2014 after receiving a Bachelor’s of Nursing degree in 2007, both obtained from the University of New Mexico. 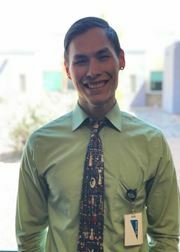 Currently, he is completing a second year fellowship in clinical trials at the VA Cooperative Studies Program located in Albuquerque. He also is a guest lecturer at UNM with a focus in teaching pharmacy law. As a student he has held positions in both SSHP and NMSHP and is excited to be involved again by holding the NMSHP President position. His passion is improving healthcare for New Mexican’s and veterans across the country. 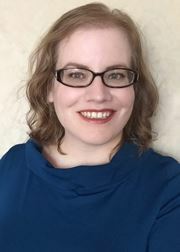 MaLaura Creager’s first career was in ambulatory care practice management before she earned her Bachelor of Science in biology at Utah State University. 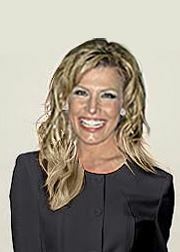 She then went on to complete her Doctor of Pharmacy degree at the University of Colorado and a pharmacy practice residency at Lovelace Medical Center in Albuquerque. She enjoys using evidence-based medicine to care for the under-served, including psychiatric patients, Native Americans, and refugees at Lovelace Medical Center, Denver Indian Health, and the University of Colorado Hospital respectively. She held positions of leadership throughout her training and looks forward to the opportunity to serve the New Mexico pharmacy community as well. Christopher Gallegos began his pharmacy career in 1999 with Walgreens retail pharmacy. He is certified as a Pharmacy Technician (CPhT), He also has an M.B.A., BS in business management, and is currently working on his Ph.D. in Health Care Administration. After working as a pharmacy technician lead for four years, he received a promotion to the district office at Walgreens as a pharmacy project manager, where he took on many responsibilities from scheduling pharmacist, training, and opening new pharmacy locations across the State, which also included parts of Colorado and Texas. 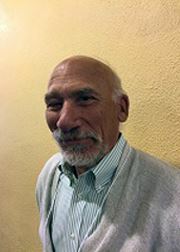 In 2012, he started his career as a project manager with University of New Mexico Hospital (UNMH). His project manager position for pharmacy administration has required him to use his project management experience to accelerate innovative platforms to meet the challenges facing today’s health care systems. In December of 2016, he was promoted to Manager of Business Operations for pharmacy administration, where he is in charge of various responsibilities centric to the operations of the department and institution. Marie graduated from the University of New Mexico College of Pharmacy in 2014. At UNM she was a member and officer in Rho Chi and Phi Delta Chi and an APhA‐ASP Operation Diabetes co‐chair. After graduation she completed a PGY1 residency at Memorial Hospital‐University of Colorado Health in Colorado Springs, CO. Marie has returned to NM to work at UNM Sandoval Regional Medical Center where, with the director, she will be building the pharmacist role in the outpatient clinic with the eventual goal to help manage diabetes, asthma, COPD, heart failure and other chronic disease states. Richard D'Angio, Pharm D, BCPS received his BS in Pharmacy and Pharm D from University of Arizona. He completed a general hospital pharmacy at National Institutes Health and a fellowship in Critical Care at Hartford Hospital. Since 2008, he has been the Clinical Director at the University of New Mexico Hospitals. Dr. D’Angio has had the opportunity to be involved with the numerous state and national organizations. Fiona Chao is a clinical pharmacist at Northern Navajo Medical Center (NNMC) in Shiprock, NM. 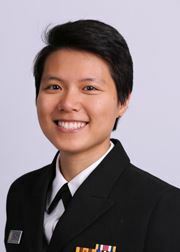 She graduated from the Ernest Mario School of Pharmacy at Rutgers, The State University of New Jersey and went on to complete a PGY1 residency at NNMC. In addition to being a residency and student preceptor, she is the Student Program Coordinator for NNMC Pharmacy and collaborates with over 13 pharmacy schools to host more than 25 students each school year for their advanced pharmacy practice experience. Fiona will be stepping into a new role at NNMC as the Pharmacy Clinical Applications Coordinator as well as the secretary of the Medications Error Committee. 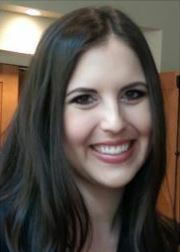 Dr. Jennifer Pyeatt earned her Pharm.D. from University of Iowa. While there, she was a member of The University of Iowa Student Senate and held offices with ASHP, APhA, and The College of Pharmacy Student Council. She was also a member of Phi Lambda Sigma leadership fraternity, and a member of Women in Health Sciences. Jennifer works at Lea Regional Medical Center in Hobbs, NM where she is currently the lead of the antimicrobial stewardship program. Originally from Georgia, Daniel completed his undergraduate coursework in chemistry at Georgia College before earning his Doctorate of Pharmacy at the University of Georgia. After school, Daniel went on to complete a pharmacy practice residency at Northeast Georgia Medical Center. 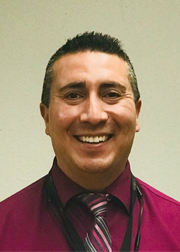 He is currently working as the Director of Pharmacy at the Rehabilitation Hospital of Southern New Mexico and the Advanced Care Hospital of Southern New Mexico in Las Cruces. His career interests include medication safety, antimicrobial stewardship, and quality improvement. His ultimate professional goal is to uphold the integrity of the profession and train the next generation of pharmacists. Working on the P&T committee at his institutions has given him some committee experience, but he is excited to broaden his profession involvement by serving as the Southwest Region Representative for NMSHP.